The CR range offers pumps of unmatched reliability that can be intelligently tailored to suit an infinite variety of applications. 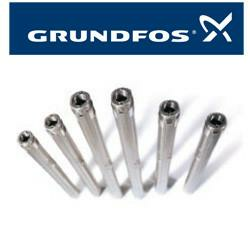 Since Grundfos invented this type of multistage in-line pump in 1972, many imitations have appeared on the market. However, four decades on, this latest generation of CR pumps, with their traditional efficiency, reliable performance and adaptability, remain the wisest choice. The basic CR pump range is available in four different materials: cast iron, two grades of corrosion-resistant stainless steel, and all-titanium. There are 13 flow sizes, capable of producing up to 50 bar of pressure, and with a variety of shaft seals and rubber materials. The modular building system means you can choose a version to meet almost any pump requirement, handle difficult liquids and the most demanding operating conditions. International studies* show that by far the most significant long-term energy savings can be made by optimising system design and control. 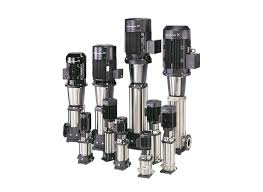 Therefore, Grundfos iSOLUTIONS (intelligent solutions) philosophy takes a holistic view of systems and applications, rather than just supplying pumps. This means you are guaranteed an unparalleled level of service throughout the life cycle of the chosen solution. Whatever the particular challenges of your installation – for example, limited space, earthquake risk, high altitude or certification issues – the CR range has all bases covered.